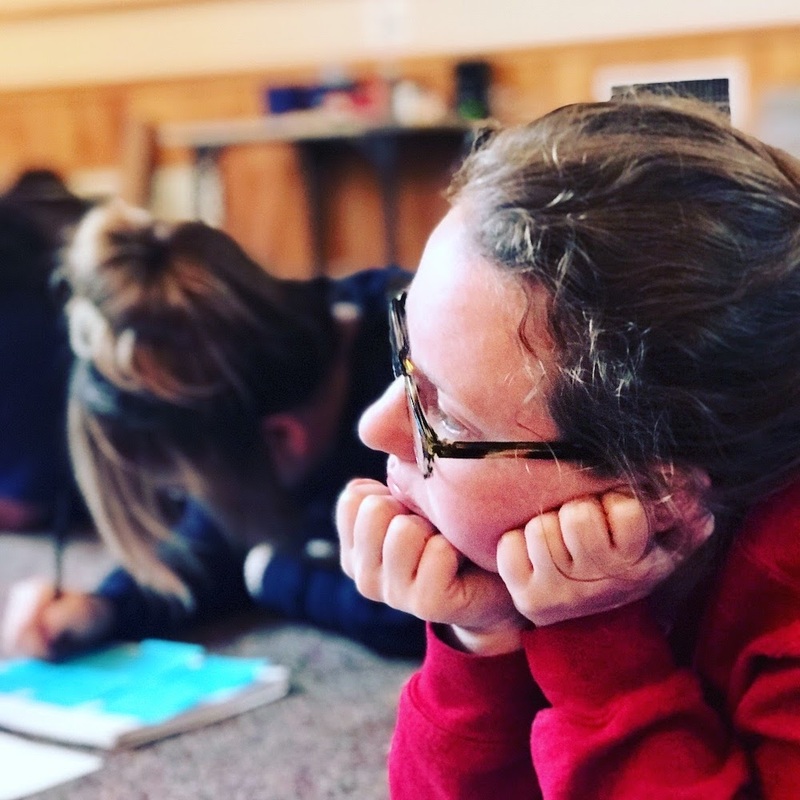 A post from Anna Hopkins, Camp Director at Friends Camp in Maine, co-facilitator of the Emerging Leaders Semester, and one of the best camp directors you probably haven’t heard of, yet. In our weekly TSCS Executive Semester online meeting, we were discussing the topic of sending campers home from camp. Inspired by lessons learned from my camp mentor Nat Shed, I have a little list of "guidelines" for myself to follow any time I send a camper home from camp. I left an abbreviated version of these in a top drawer in my desk this summer, with the intention that it would help me follow good protocol and not get too absorbed in the emotional back-and-forth of kicking a kid out of camp. Jack asked if I could share. Here goes! (1) There’s usually no need to make a decision this second. It's okay to take a little time to call my mentor/ write a pro-con list/ be quiet for 20 minutes and find the truth of whether or not this camper stay at camp. (2) If a camper is going home, call the family and arrange a pick-up plan before you tell the child. The last thing you want is an angry or devastated child who then needs to wait 24 hours for a pick-up because his parents are out of town. Tell the camper they are going home about 1-2 hours before parents or guardians arrive, depending on the child and situation. (3) The time before the child leaves can still be valuable for them. Have a staff member or two who they trust spend time with them, and see if they can have a productive conversation about leaving camp. Maybe they can toss a ball around and discuss their successes and challenges over the last week. (4) When the child does leave, have an "exit meeting" with the parent and child. Make sure you highlight the child's successes to the parent. If the child is getting kicked out of camp, chances are this has happened to them elsewhere. No child is 100% failure. Failures hurt and add up over time, and if you can help this child see how they still have light inside of them (while being really clear about what boundaries they crossed), that is a good thing. (6) I tell the camper's cabin group that evening, with a 2-ish sentence explanation. I say it's okay to be sad or to be happy about it, and if people want to talk they can talk to me or their counselor. Kids are not typically surprised. (7) I tell the whole camp briefly at our next business meeting (happen daily in the morning). I don't offer details about that child, but I let the whole group know they had to leave. I suggest we hold that camper in the Light (Quaker language) and tell campers they are welcome to ask questions to me or another point person if they have them. (8) Follow up with the camper’s counselor(s). They probably feel like they failed. Go for a walk with them, and reassure them (or have an assistant director with more time go for a walk with them). You can also ask if there’s anything they'd like to do differently next time and hear their perspective on how you handled it as a camp director. (8) Make a note in the camper's file on CampMinder about everything that happened. I will forget portions by next year, and it will be relevant if this camper wants to try coming back to camp. (9) Do a face mask that evening after everyone else at camp is asleep. Being the camp director is hard sometimes. Unload to your non-camp support system if you need to. Sometimes someone needs to take care of you, so you can do your best taking care of camp. Want more free stuff to make running camp easier and awesomer?